I am Mary Scurlock, representing the 28 local, statewide and national conservation and fishing industry organizations that comprise the Oregon Stream Protection Coalition. We support and incorporate by reference the detailed comments of Rogue Riverkeeper submitted to Chair Imeson prior to this meeting. The draft results of staff’s search and screening exercise has produced only 15 papers from 12 studies, which we agree provide useful information about a disparate number of relevant subjects. But there is simply too much highly relevant, useful information being excluded unnecessarily. We disagree with the implication that being more inclusive would sacrifice rigor or transparency. In choosing the construct of a Systematic Evidence Review, we seem to be ignoring what we already knew about the nature of available information. As Dr. Frissell explains, a rigid systematic review is the wrong construct in this case because we are not looking for a means to cut across “multiple controlled, quantitative studies of the same general question” – as commonly occurs in medicine or pharmacology. We urge you to consider instead a basic, general literature review and synthesis, where every relevant study is evaluated on its own merits, critical uncertainties are identified, and conclusions are drawn based on logical resolution of apparent contradictions and weight of evidence. We need to allow for refinement of the study question based on the discovered information, i.e it should be our goal to ensure that we are asking an answerable question. 2. Rationale lacking for exclusion of RipStream on the basis of “Geographic Scope” of study data. I repeat prior testimony in saying that exclusion of RipStream from this review was not technically have been part of any prior decision. Furthermore, as I have previously noted this Board was clearly authorized to include the Siskiyou in the rule decision on the basis of Ripstream, which was in fact presumptively included in the geographic scope of the Board’s January 2012 degradation finding until the compromise decision was made to exclude the Siskiyou from the negotiated rule package almost four years later. (The very fact that this Board in 1994 chose no-cuts and RMAs for the Siskiyou of the same dimensions as other parts of the state is itself evidence that a presumption of similarity with respect to essential stream-riparian relationships is justified). For reasons further detailed in Dr. Frissell’s attached comments on the draft review and in prior submittals, we urge the Board to clarify that RipStream can and should be considered here, as should any information relevant to whether and how RipStream findings are or are not probative to the question of stream temperature and shade in the Siskiyou. The only defensible presumption given the totality of available information is that the RipStream findings are relevant to the question of current buffer efficacy to prevent stream warming. It is appropriate for this literature review to seek and synthesize any ecological information that justifies exclusion or calibration of this information, but knee-jerk reliance on the Board’s SSBT rule decision is not defensible. We urge the Board not to accede to staff’s position that it must exclude Ripstream to comport with your prior policy decision by remaining silent. Rather, you can provide further direction on this matter by: 1) clarifying that the geographic scope of the SSBT rule did not pre-determine the scope of the subsequent Siskiyou monitoring project, and/or; 2) directing that RipStream be considered along with any other information that suggests the core shade/stream temperature relationship established by Ripstream should not be presumptively considered valid in the Siskiyou. The Board may be interested to know that the applicable TMDL documents demonstrate the great extent to which ODF monitoring efforts to date have been utterly, and inexplicably, disconnected from the water quality standards attainment framework established by TMDLs. For example, the Lower Sucker Creek TMDL states that “The information contained in the Lower Sucker Creek TMDL, as well as additional monitoring data, will be an important part of the body of information used in determining the adequacy of the FPA,” refers to the largely inoperative interagency MOU, and says that “information from these efforts, along with other relevant information provided by the DEQ, will be considered in reaching a determination on whether the existing FPA BMPs meet water quality standards within the Lower Sucker Creek Watershed.” (p. 89) (emphasis added).” To my knowledge no such cooperative determination of adequacy to meet load allocations has ever occurred. 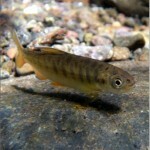 ODF notes that the Board excluded large wood as out of scope for economic reasons, but logically this critical aspect of the forest-water interface drives stream morphology effects on stream temperature and because the connection between “desired future condition” of streamside stands and protection of aquatic resources is squarely on the table. As the Rogue Riverkeeper comments note, the critical functional outputs — large woody debris, root masses, snags and litterfall — of functional riparian stands are also important characteristics of stream health and shade. This is explicitly recognized in the description of the characteristics of mature stands that DFC is supposed to represent at OAR 629-642-0000(2). These riparian functions are also clearly part of the OFPA’s statutory commitment to the “overall maintenance” of water resources, fish and wildlife. If not included here, large wood source potential in the Siskiyou must explicitly be covered by the Western Oregon project. 5. The Department should include climate change literature so it can establish working expectations around climate change for this and future monitoring efforts. 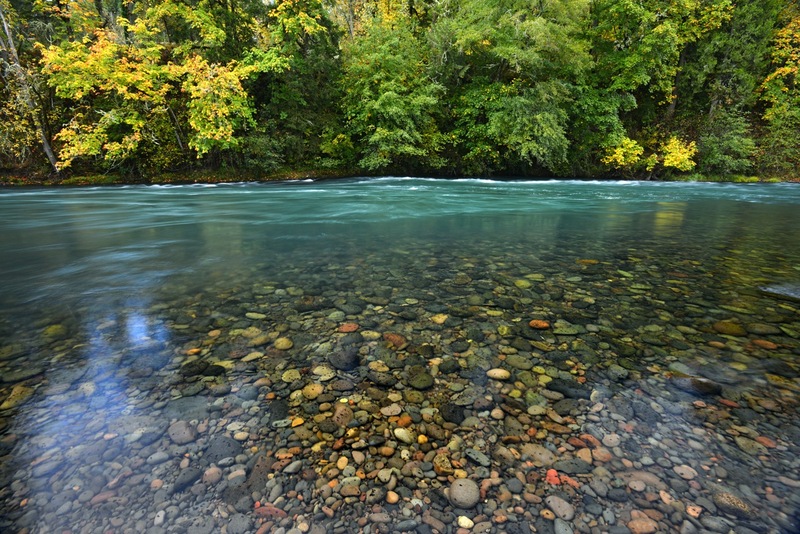 We agree it is not appropriate for ODF to use fish status and trend information to “revisit the assumption that meeting FPA goals for water quality . . . would result in outcomes beneficial to fish” — that would second-guess the DEQ’s setting of water quality standards. But although fish status and trend information is “contextual,” the widespread ESA-listings of aquatic species should nonetheless be directly relevant to the Board’s perception of the public interests at stake, baseline resource risk and urgency to act. Information Lacking on Field Sites: Where are the “field sites” ODF has been visiting and will continue to visit (p. 2 of update) and what data are being collected there? Why not scrutinize all stream protection prescriptions – both the general and post-disturbance alternative ones — given that we are not being limited to the prescriptions tested in RipStream? Staff has said it considers the effectiveness of its “general vegetation retention prescription rules” with respect to disturbances such as fire, floods, insects and disease within the scope of its review, but that the effectiveness of the “alternative vegetation retention prescription rules” to be out of scope. The Board could change this. The alternative prescriptions allow harvest where the basal area of live trees is too low to allow management under the default rules, and their efficacy to meet water quality standards should be established. It does not make sense to restrict scope to studies that use Oregon FPA buffers. Grey literature should be included. ii. For example, the 2002 TMDL for Lower Sucker Creek in the Illinois Basin of the Rogue allocates to non-natural sources including forestry the following load allocation: “no measurable surface water temperature impacts,” and this requirement applies to more than just small and medium fish streams; further states that ODF is supposed to have monitored its rules to ensure their effectiveness and make statewide or watershed specific rule changes to meet these load allocations and a “sufficiency analysis” was supposed to have occurred every 5 years. The 2003 TMDL for the Applegate states that: “For nonpoint sources in the Applegate Subbasin, the load allocation is system potential vegetation quantified as average percent shade.” This allocation applies to all perennial or fishbearing streams. The 2008 Rogue River Basin Temperature TMDL (2008) indicates that the load allocation for nonpoint sources in the Rogue River corresponds to 0.04oC.